If you're trying to get somewhere fast, taking a toll road or two can definitely help you do that, but at a cost. When you're not in any rush, that would-be toll money will work much better in your gas tank, especially if it's only minutes that are being shaved from your trip. With this in mind, Apple Maps has a simple way of avoiding tolls to save you money while navigating on your iPhone. 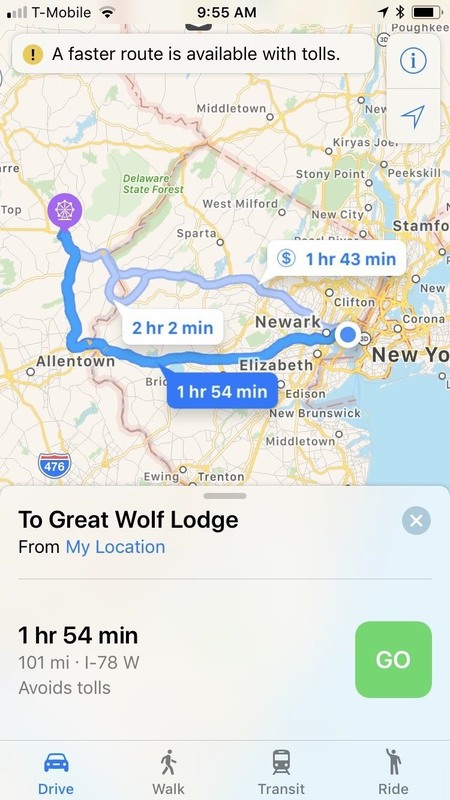 Avoiding turnpikes and other tollways is a pretty straightforward affair in Apple Maps, and you get the option to set it up according to better suit your personal needs. 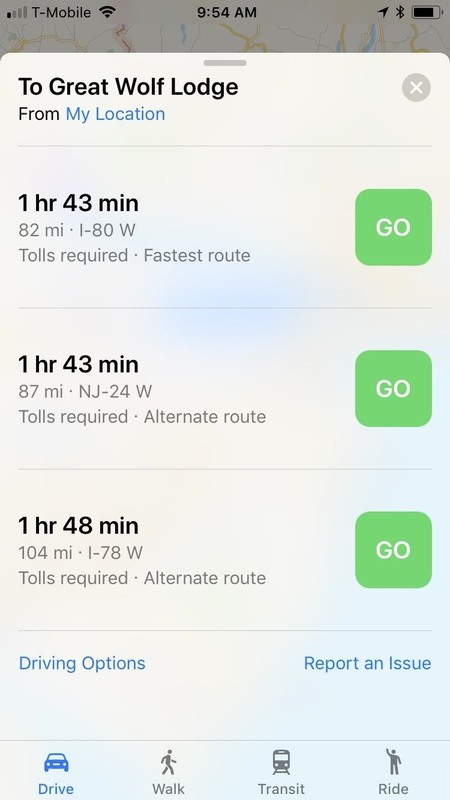 So whether you want to avoid tolls for one particular trip or have it permanently set to avoid toll fees at all times, Apple Maps has all the bases covered. 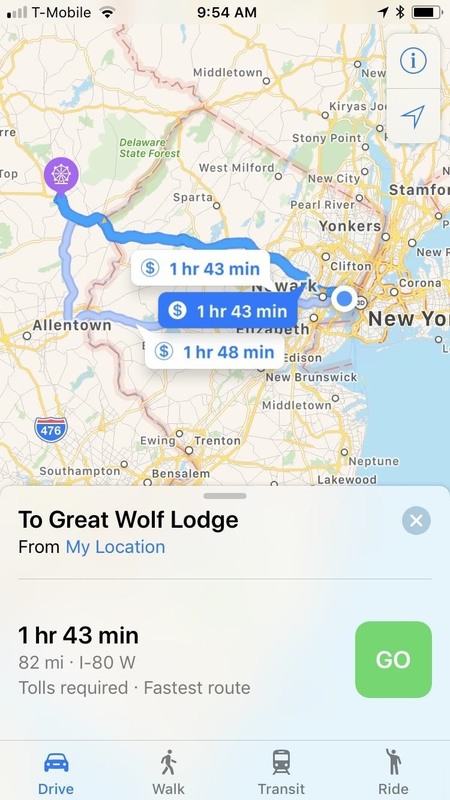 If you want to set toll avoidance on a trip-by-trip basis, you'll first need to ask Apple Maps for directions to where you need to go. When you're on the route selection window, don't tap on "GO" just yet. Instead, either tap on the top bar of the route selection window or swipe it up to reveal more options. At the bottom on the left, select on "Diving Options." Now that you're in the Driving Options window, tap on the toggle next to "Tolls" to turn toll avoidance on, and exit by selecting "Done." Maps will now set a non-toll route as your primary option, while still including paid routes should you decide to take that way instead. Tap on "GO" once you're satisfied with your selection. If any re-routing takes place during your trip, Maps will still avoid tollways unless you specify otherwise. Once you've toggled on toll avoidance this way, it's set for good. So, the next time you take a trip and want to take tolls, you'll have to go back into "Driving Options" and toggle the option off. If you prefer to avoid turnpikes and other paid routes all of the time, there's another way of doing it. 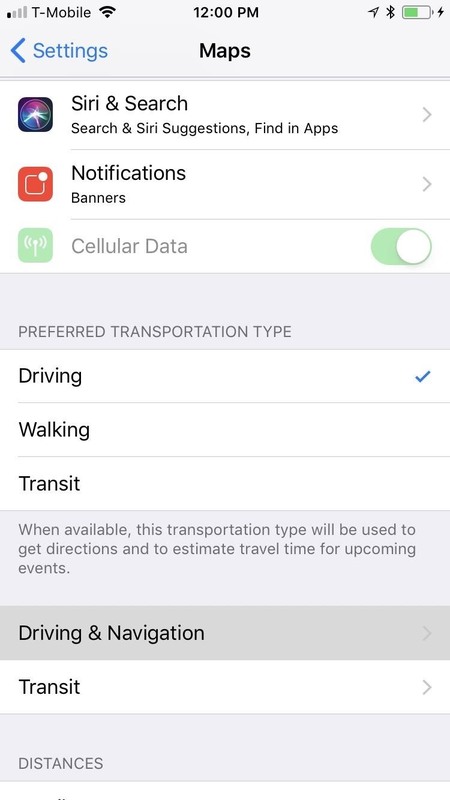 Open the Settings app on your iPhone, tap on "Maps," then scroll down and tap on "Driving & Navigation" close to the bottom of the screen. 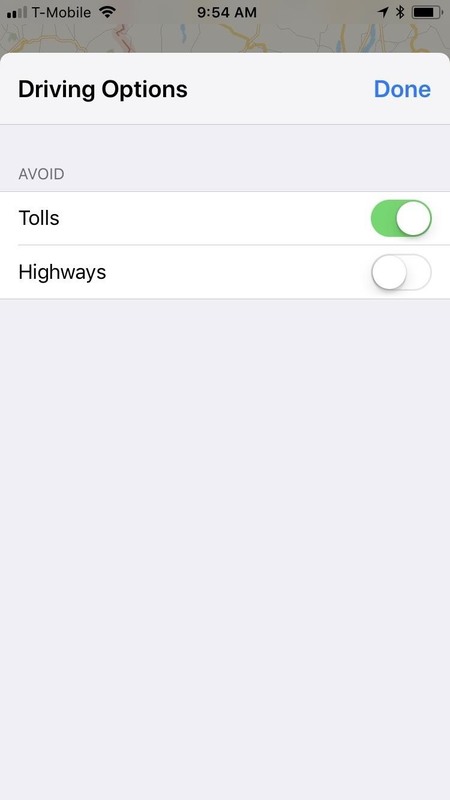 From there, simply tap on the toggle beside "Tolls" under the Avoid section to turn toll avoidance on. Once completed, exit Settings, open Maps, and input your target destination. 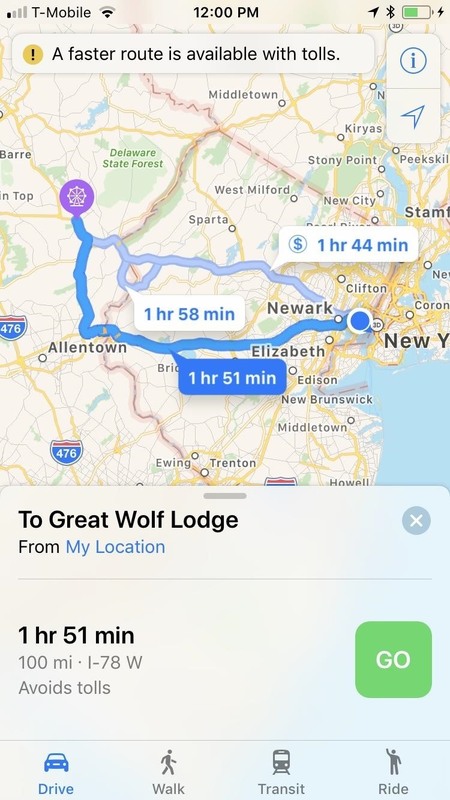 You'll notice that the app will automatically recommend a route that doesn't include tolls, though those routes will still appear on the map. Tap on "GO" once you've decided on the best route. 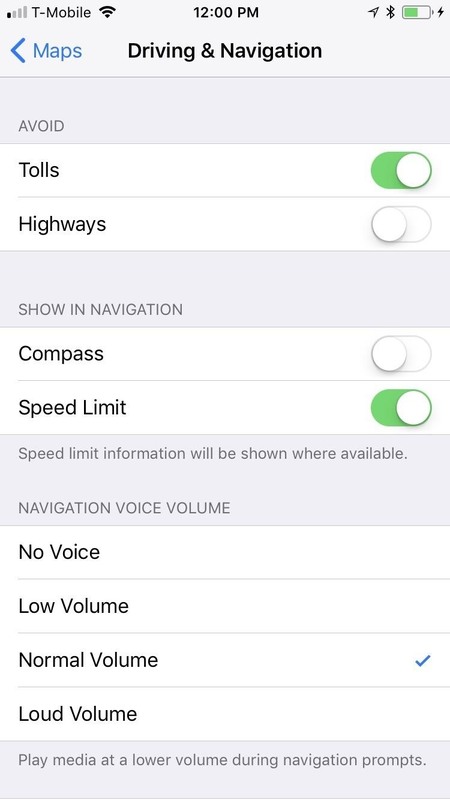 If you already toggled toll avoidance on from within Maps, the toggle will also be on in the Settings app, so keep that in mind. 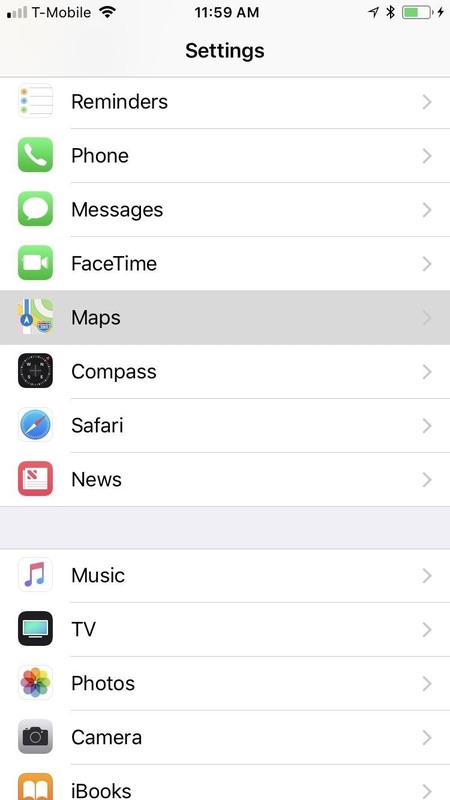 Changing it in Maps will affect the main toggle in Settings and vice versa.